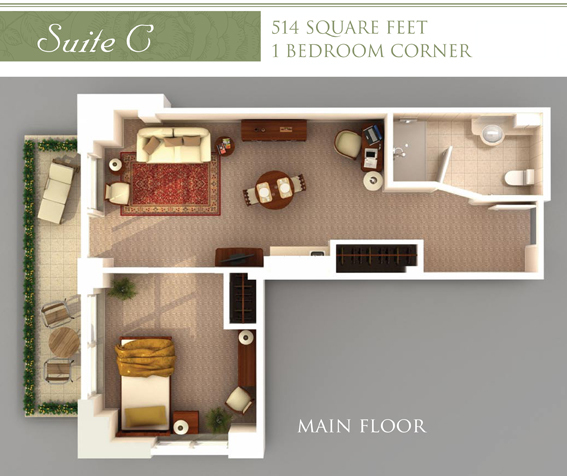 Spacious studios and one bedroom suites with charming walk out patios are available on our Main Floor. This neighbourhood includes linen laundry, 3 meals per day, medication administration, assistance with bath or shower 1X per week, housekeeping and full access to all amenities and events on Main Street. Additional care levels can be provided for an additional fee.